In this video log we tell you a little more about our last week. 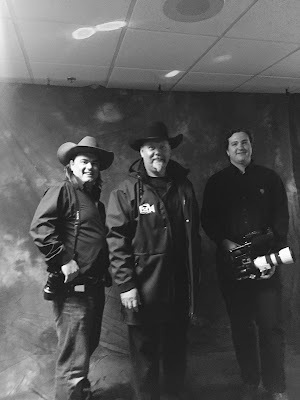 This is a regular feature to keep you informed about the doings of the Two Cowboys & A Camera. Please subscribe to our email list for our monthly newsletter. Back in Canada after eleven weeks in New Zealand. Picking up our Thor Miramar Motorhome from Guarantee RV. Attending the Okotoks and Area Chamber of Commerce Business Excellence Awards 2016. Filming Natural High Fitness in Okotoks. Meeting with Banff Lake Louise Tourism Association. Preparing and contacting Breweries for the Great Alberta Beer Run. Thank you for making our journey with us. 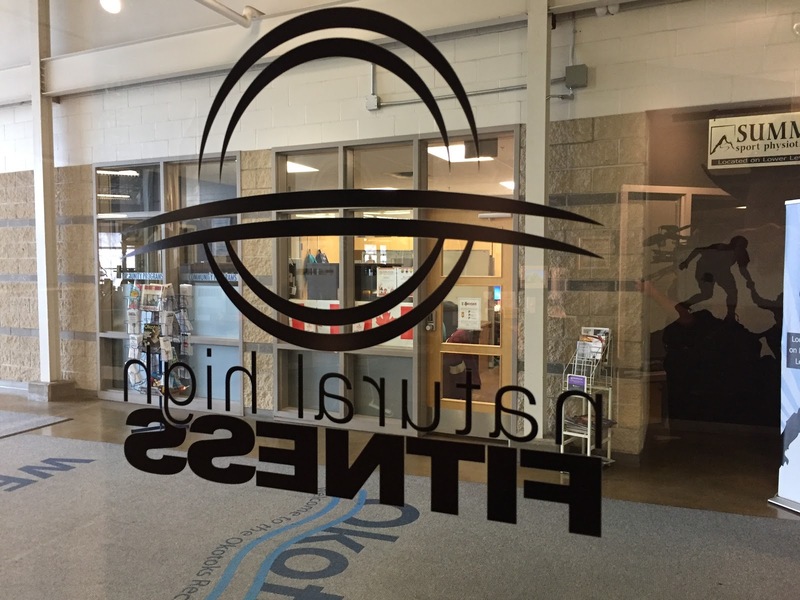 Andrew Gustafson and his team at Natural High Fitness in Okotoks proclaim to mould dynamic lifestyles by helping their members follow the most effective and encouraging path to aspire to their peak fitness goals. A lofty statement and a lofty goal indeed. 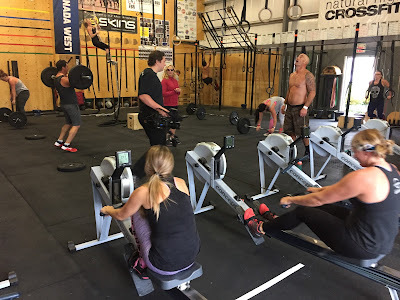 Simply put, it is a place where you can hang out with your friends and enjoy your workout. They have everything you need for reaching your fitness (and your social) goals. A gym is a gym, is a gym. 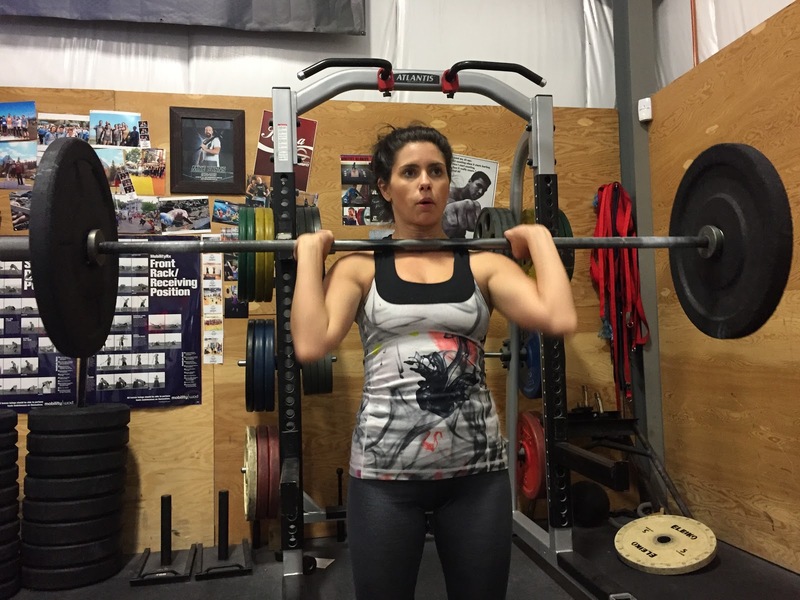 There are a few places in Okotoks where you can deposit your sweat, move and pick up heavy stuff. 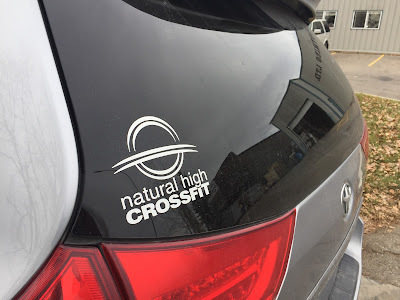 Natural High Fitness is different in one very large respect. They are a community focussed enterprise. They are dedicated to supporting the community by giving back. They do it through charity work and other community-related involvements. 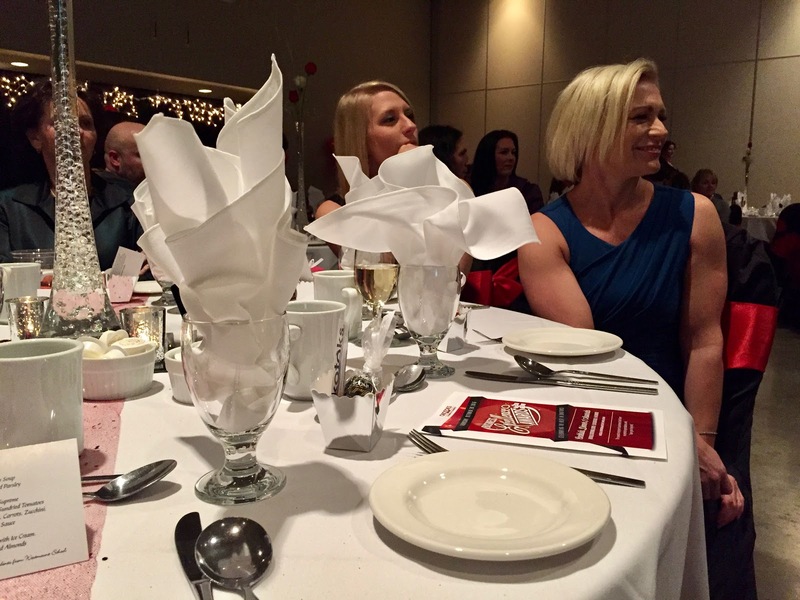 The business is locally owned and operated by the Gustafson's who also work in partnership with the Town of Okotoks. When we met up with Andrew, we were struck by his enthusiasm and passion for people. When I asked him about it, he made it clear that his passion for people is the single most important driver for his business. We don't find this surprising. Every small business owner in a healthy community can only be successful if they care about their people and that of their community. 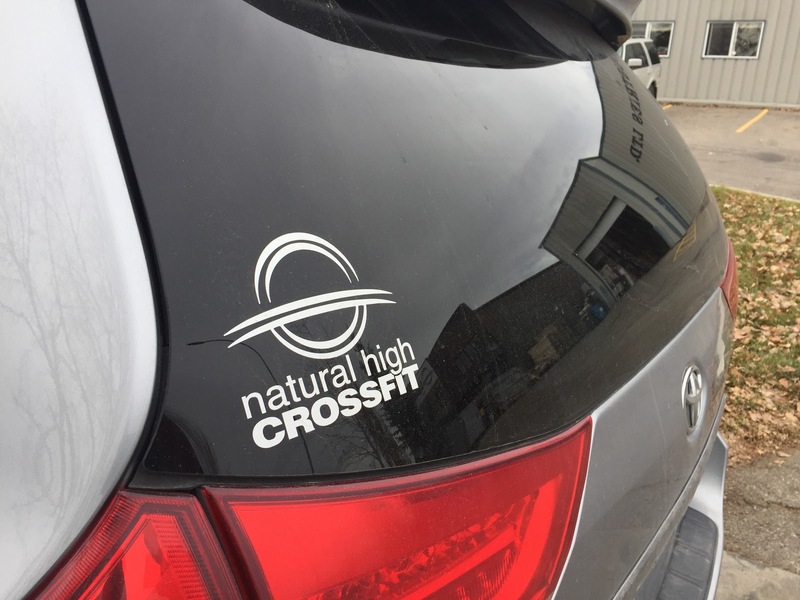 At Natural High Fitness this stands out above everything else. Being an entrepreneur is supposed to be simple. Firstly, find something you love to do. Something that has value for you personally. Do it. Enjoy it. Get personal value from it. Secondly, share it with those around you. Your family. Your community. If they like it too and get value from it, then keep doing it. Continue to share it with even more people. By sharing it, you exchange value for a measured return. If you can get a large enough and profitable return, you can continue to share it and enrich more people's lives. Without this return, it remains a personal affair. The next step is to use the return incentive and find ways to improve what you do even further and share it with more people. Then you are in business. Then you are an entrepreneur and a Producer. The difference between a hobbyist and an entrepreneur in many cases simply comes down to the incentive or return. Return can take several forms. Monetary return or profit is the simplest, most obvious and flexible means of unlocking the value. There are other ways for value to be rewarded. Increasingly, people do what they do for more reasons than for profit. The ultimate success is to do it for profit that can be applied to add even more value to people's lives. Community focussed businesses, or as we call it - businesses with a purpose - are taking the path of obtaining a return through social incentives. They are doing it for a cause. The cause can be to address a social or community shortcoming, such as feeding hungry children (http://www.eatmylunch.nz) or to address a lack of awareness or knowledge through education (http://www.socialenterprise.academy). There are many examples of businesses that stepped out of the more conventional profit structure by taking on a social or community cause. If a small business in a community does not have a community focussed cause, they can no longer compete on value alone. Large corporations can do things much cheaper, faster and better. This is not a new phenomenon. If you are familiar with community-based businesses, you will know that this is the operating norm. Supporting a local business keeps money and value in the community. The town's baker is the business that sponsors the Peewee Hockey team's uniforms. The butcher donates hams to the Foodbank. The builder donates time and materials to fix the Recreation Centre's roof. These businesses trade with each other and befit from each other. The dollars stay in the community for longer. The examples are endless. Local businesses employ the people of the community, often at incomes higher than the norm. They do it because they invest in their community's people. The value they provide benefits the community. It should then be simple to realise that buying a cup of coffee from your local coffee roaster puts a dollar back into the dancing school. Getting a loaf of bread from your local baker pays for the hockey rink's ice. Getting your eggs from the local farmer puts shoes on a kid that otherwise may not have it. Supporting your local fitness entrepreneur supports a local cause. If you want to take care of the people in your community and have a healthy community, then take care of the local businesses that support each other. These are the people that matter. The best way you can do it is to spend your dollar locally and do at least twenty push-ups every day. We enjoyed telling Andrew's story. It is not a gym story. It is a community story. 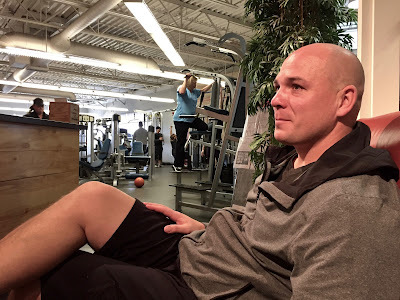 We are proud to know him and hope this is the first of many stories we get to share about Natural High Fitness. 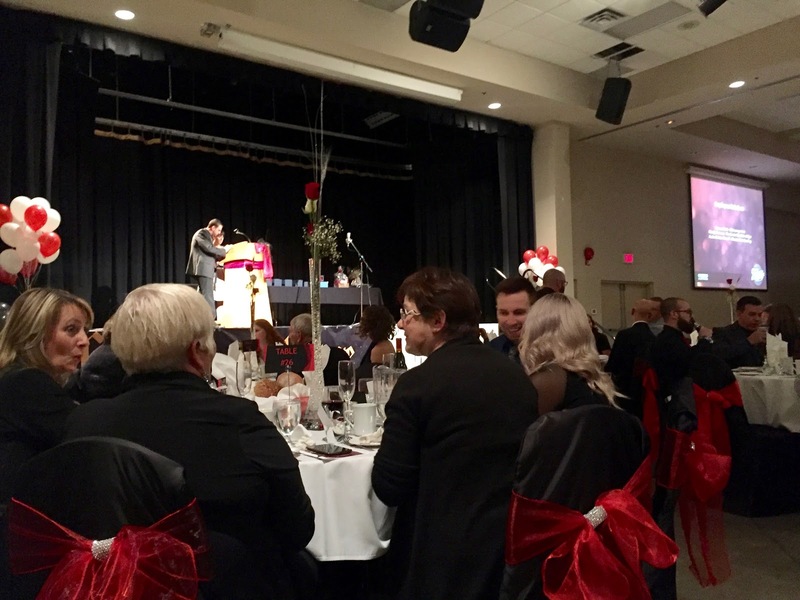 Okotoks & District Chamber of Commerce recently celebrated their best of the best and rolled out the red carpet for their Annual Business Excellence Awards. The evening was a gala affair with awards, a sumptuous sit-down meal and the recognition of businesses that make Okotoks an amazing place to live and an amazing place to work and operate a business. 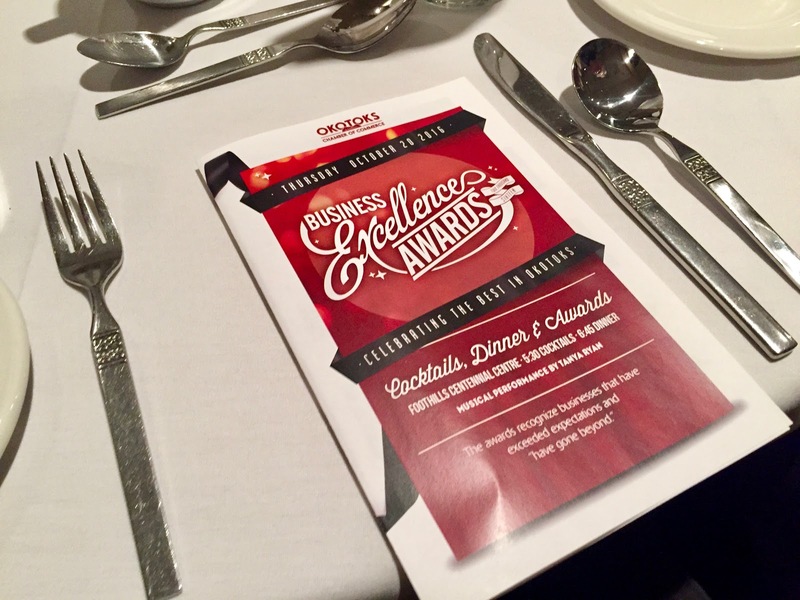 It is a celebration of the hard work and success of entrepreneurs in the area as they employ, grow and develop their community. We are glad we could be there. We hope this is the start of many more celebrations as we slowly begin to feature the many producers and inspiring businesses in this lovely town. Please enjoy this with us. A big thank you to Davey Hughes and the team at Swazi Outdoor Clothing for our Two Cowboys custom jackets. They are really nice and custom made for our work in Canada. Not only does it make us look good, the jackets are made with special materials that will also keep us warm and dry in an unforgiving climate. When we reached out to Davey and Swazi earlier this year our plans were merely to tell an inspiring story. You can see and read about it here. We've since become friends and whenever we are on New Zealand we are looking for an excuse to look them up in Levin. We are really appreciative that Davey, Amber and Sharee decided to make Swazi Outdoor Clothing one of our sponsors. We consider ourselves part of the Swazi Clan. As clan members, we wear our Swazi gear with other committed members while we all tell the world about the outdoor clothing makers in Levin, New Zealand. These are people that are proud of their work. 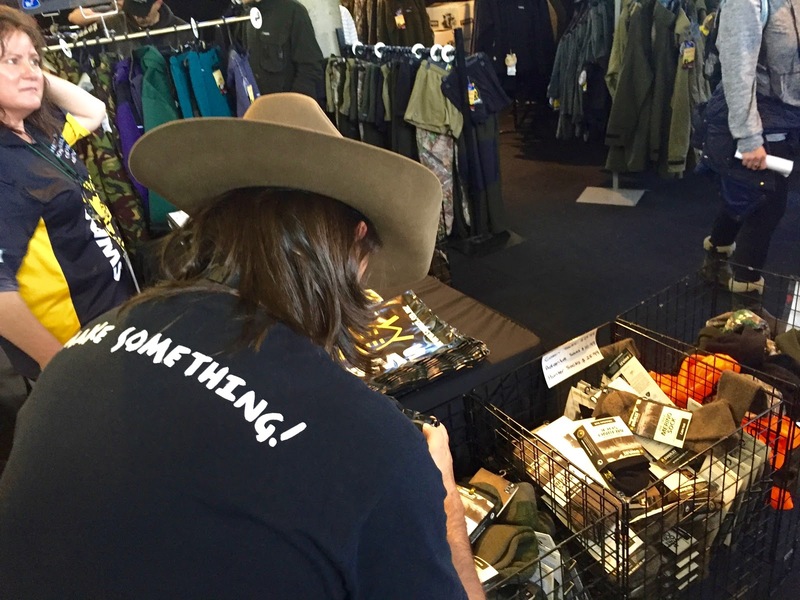 Hikers, hunters and outdoor enthusiasts all over the world appreciate the care and dedication that goes into making high-quality garments that are comfortable. The gear lasts. It keeps people safe and warm. The seamstresses of Swazi are so proud of their products that they work their names into the labels of the garments so that you know who made yours and that you can personally thank them. The Clan of Swazi is growing here in Canada. You can join here. In all our travels we find entrepreneurs with a community focus. People that stand out amongst others. They make products and provide services that recognize a need for addressing a bigger cause or issue. Profit is not the ultimate motive. Creating value in their respective communities is their drive. Wikipedia define it as Social Entrepreneurship where entrepreneurs use techniques to develop, fund and implement solutions to social, cultural, or environmental issues. "For-profit entrepreneurs typically measure performance using business metrics like profit, revenues and increases in stock prices, but social entrepreneurs are either non-profits or blend for-profit goals with generating a positive "return to society" and therefore must use different metrics." Real Producers are Social Entrepreneurs. In their communities they make products and provide services that benefit themselves, their families and the people around them. They sponsor the schools and local community programs. They create local employment and give children in the community a chance to start their careers. They teach. They make sure that the value remain with the people that helped to create it in the first place. They are also the biggest contributors to the taxes that fund our public services. With these Producers our communities thrive. That is why we need more if them. We need to look after them. That is why the Two Cowboys are proud to tell their stories. We are also a Social Enterprise. Our cause is to encourage more people to make things for their own sake and for the benefit of those around them. We tell the stories of these Producers and help them to market their businesses. Many are micro and small businesses that cannot afford high value video production and marketing services. We are funded through your donations and sponsorships and by people that support our cause. All our earnings are applied back to covering our costs of marketing and promoting these Producers and their inspiring local communities. Thank you Davey, Amber and Sharee, and the Team at Swazi Outdoor Clothing. We wear our Swazi proudly. Mining cooks in Brazil invented cheese bread around the 1700's. They combined cassava starch, eggs, lard/butter and hardened grated cheese chips to come up with something that resembles bread. In those days the cheese bread was made by slave women. There was no wheat flour. Wheat doesn't grow in the warmth of the Brazilian North-East. The only wheat flour to be found in Brazil at the time was imported from Europe for Kings and Noblemen. The rest of the people enjoyed a tasty, cheesy morsel that today is well-known as Brazilian Cheese Bread. While the recipe may have exists since the eighteenth century, it became popular in Brazil since the 1950s as a snack food. Now, New Zealand has its own and to our knowledge, the only producer of Brazilian Cheese Bread in the country. It is made in the traditional way Neide Durello learned to do it growing up in the Brazilian countryside a few decades ago. Marcelo, Neide's son and partner Barbara brought this know-how to New Zealand when they immigrated to the Islands arriving with a few suitcases and four children. They founded their Cheese Bread business. It is a small company that goes by the Durello name. 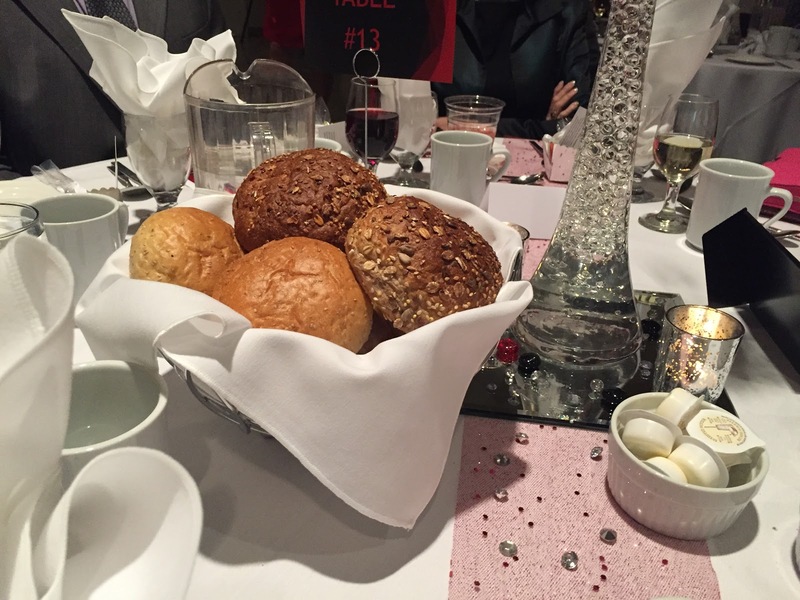 Initially, they rolled the bread by hand the traditional way. 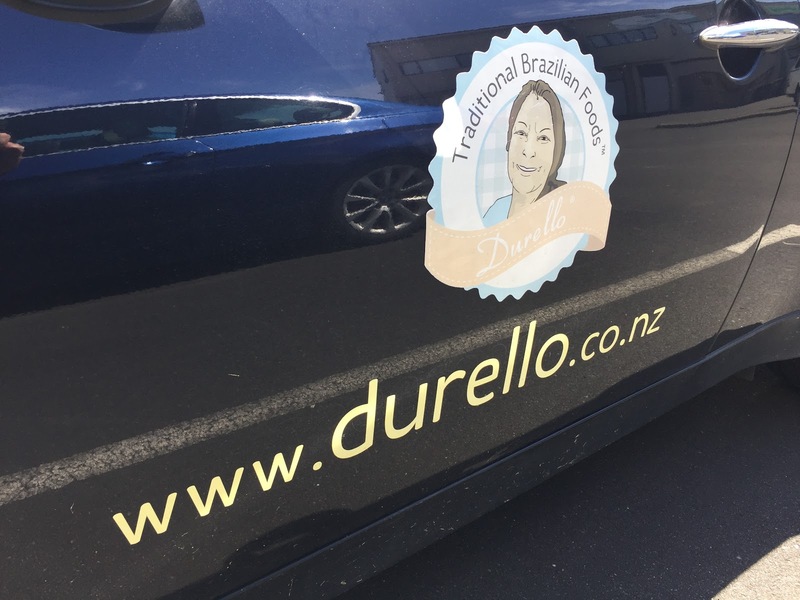 Now, Durello's production is mostly automated, and they boast a tiny little store in Queen Street, Auckland where they induct the downtown student population and tourists into the ways of Brazilian Cheese Bread. 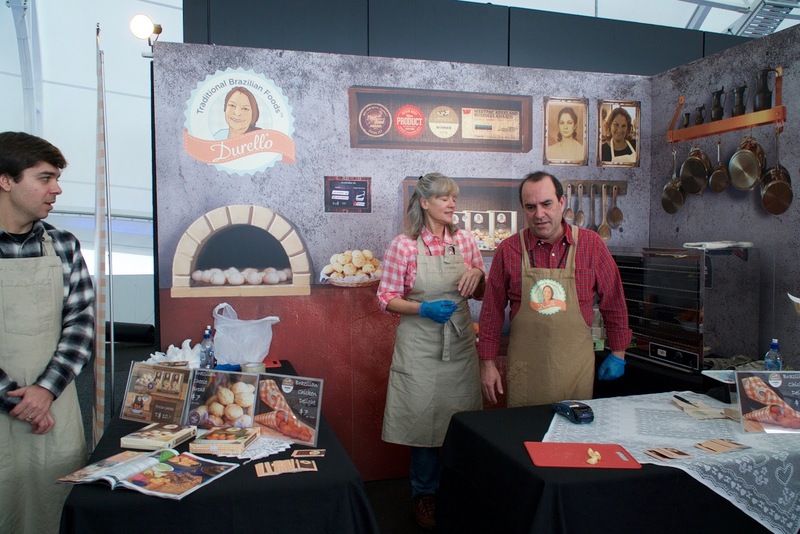 Durello's expanded product range is available in New Zealand's Supermarkets country wide. The New Zealand Food Awards recognised them as a winner in 2014. Business is booming. The phone rings off the hook with orders, and the empire is slowly growing. Kiwis like the Cheese Bread. During our visit, Barbara mentioned that they are preparing to export products to Australia. The range grew with different flavours that suit the Kiwi palate. Bacon and garlic are new additions. They are also expanding with Chicken and Prawn Delights. Same little balls. Equally delicious. The story by now is familiar. We encounter it often. Many of the profiles that the Two Cowboys do tell a similar story of immigrants arriving in a new country with nothing except their knowledge of their country of origin's authentic products. They have a strong commitment and will to make a new living for themselves and their family, in a new home country. With hope, drive and hard work they succeed in establishing a successful production business. Barbara mentioned that a big motivation for relocating to New Zealand was the country's favourable outlook and ease of launching and operating small businesses. Less regulation, lower taxation. Above all, less corruption than they faced in Brazil. 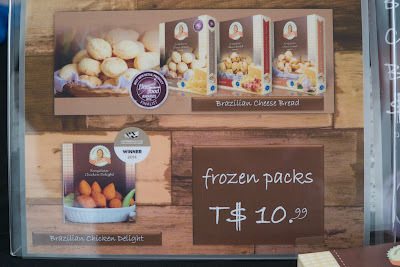 It is the local markets that gave them their first opportunity to introduce Kiwis to Brazilian Cheese Bread. The reception was overwhelmingly positive. The rest, as they say, is history. Durello has energy. Barbara is busy, busy. 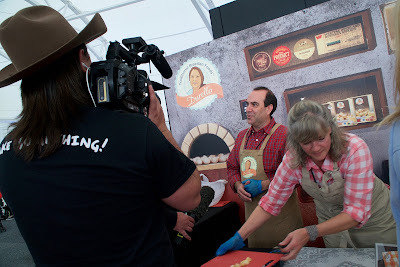 Marcelo's passion for his products is contagious. We love the Cheese Bread and wish we could take some with us back when we head to Canada. One thing is a given. When we are in New Zealand, we will look up our Brazilian friends for some Durello Cheese Bread. It is the best we've had so far. 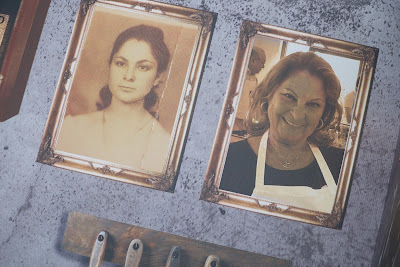 Saúde Barbara and Marcello. We lift a Caipirinha to your continued success and will be back for more. How does it look when a brand has soul? 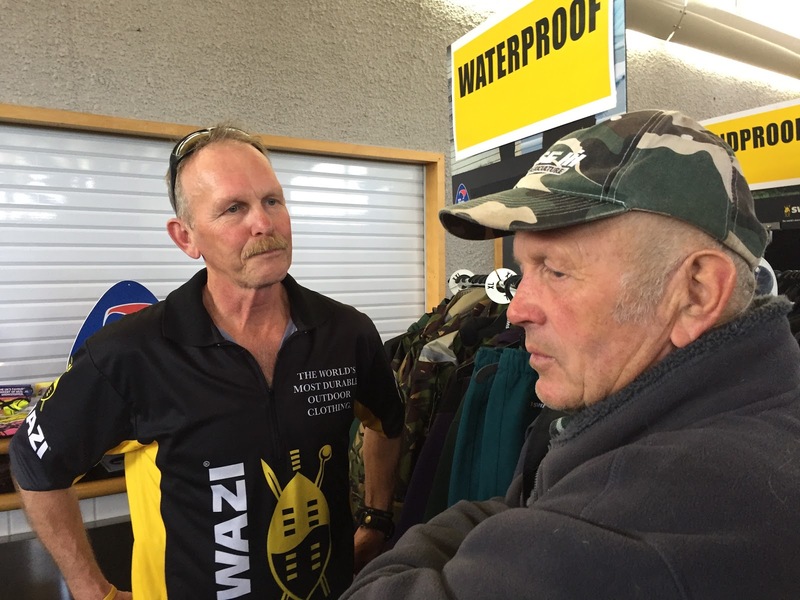 We recently met up with Davey Hughes and some of the Swazi Clan at the annual Sika Show in Taupo, New Zealand. We are nearing the end of our trip in New Zealand. Canada's winter is laying ahead of us. We needed to stock up on Swazi gear for the changing season. Swazi is an iconic apparel producer in New Zealand (one of the few left in the country, thanks to globalization and outsourcing to lower cost producing countries). We like to check in with Davey, the founder of Swazi to see what innovations he came up with to keep us warm and dry for the outdoors. 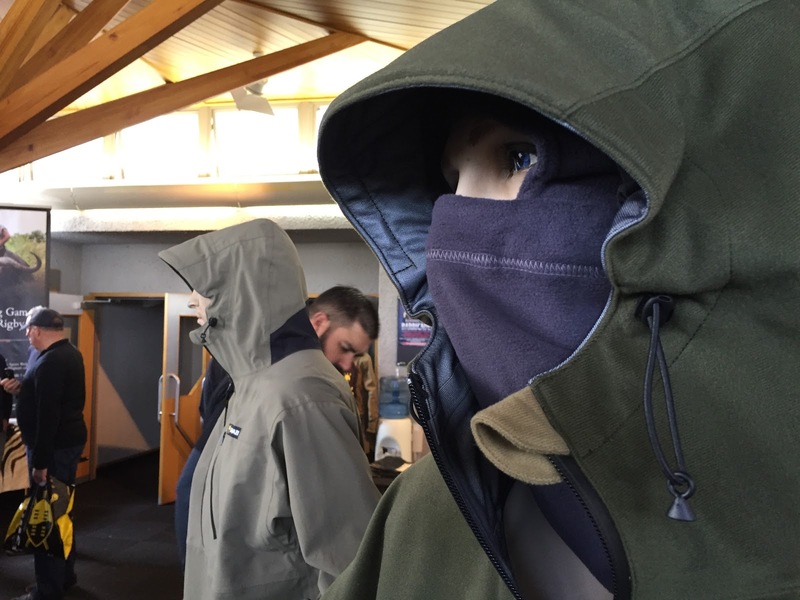 He's been working recently on a jacket that is ideal for outdoor emergency changes in weather. It is something light and "high-tech" that will keep you dry when hiking and won't add a lot of weight to your pack. We saw firsthand how light and durable it is. Swazi clothes are made in Levin, New Zealand. It’s made by a passionate group of people who live nearby. Their names are stitched into the inside of the collar. I don't know of any other clothes manufacturer that takes this much pride in encouraging people to be proud of the things they make. Swazi's clothes last. The testimonials on their site and the many letters at their office are proof that people love their gear. Who's gear you may ask? Once you become the owner of a Swazi garment, it becomes part of you. It is that durable. Swazi clothes have soul like the people that conceived and make it. Swazi gear might cost a few dollars more. But in 15 year's time when your shirt is looking a bit worse for wear, it will still give you faithful service. If it needs repair then Donna, who made it in the first instance, is likely still around to do it for you. For Davey, it is much more rewarding to watch people grow than to look at a bank balance grow. He mentioned on his website: "Bank balances just get bigger. People get better." See our profile we did on Davey and his team earlier this year, here. 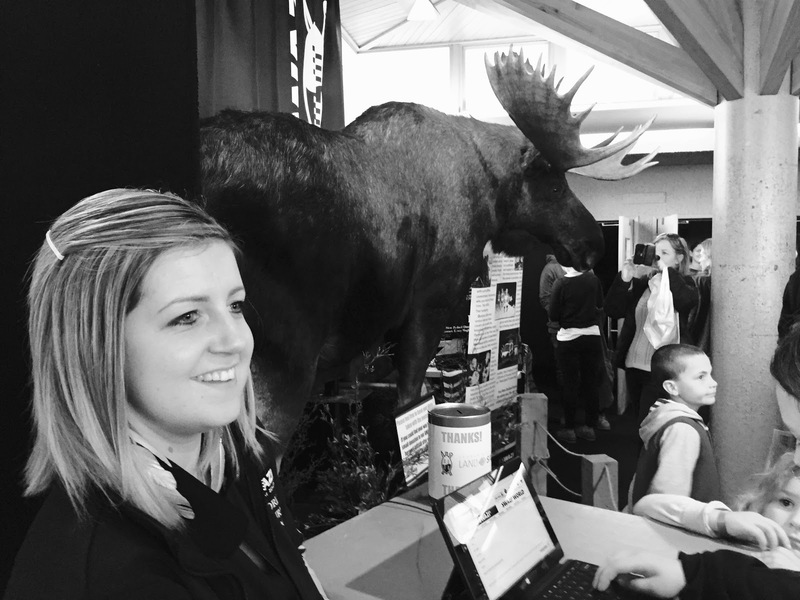 Davey also had a Canadian Moose on display (see photo below). We just had to get the story and stayed for his presentation of the hunt and pictures from the trip. How do we know it is a Canadian Moose? Because it came from the Yukon - our beautiful backyard. 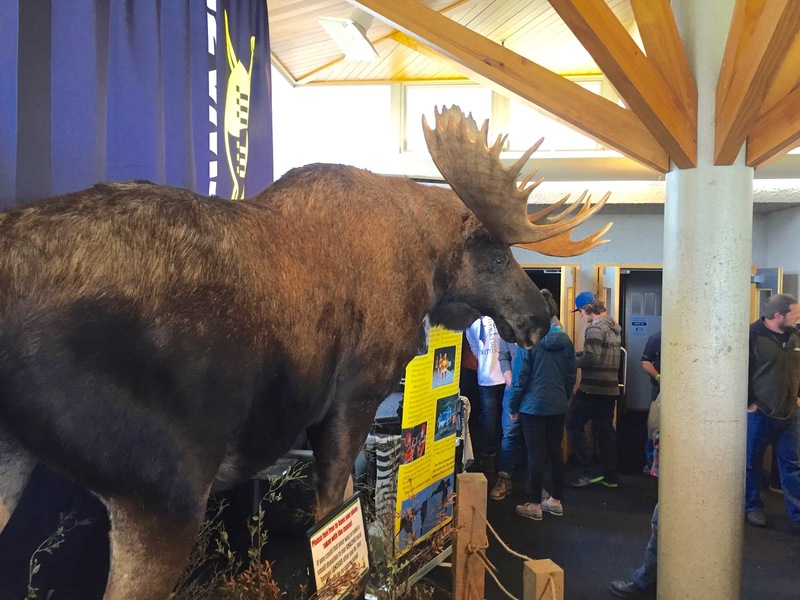 By bringing the Moose to New Zealand, he gave many Kiwi children and adults, probably their only chance to ever see the real size and grandeur of these beautiful animals. We take our Moose for granted in the wilderness of Canada. In New Zealand, a country without much wildlife, it is the main attraction to an event. The Swazi business is an innovative endeavour on several fronts. Davey is the brand of the company. His hunting and conservation stories make for excellent entertainment and drive core values of care for people and the environment. The stakeholders of the enterprise is a big and committed family. People love making the garments. 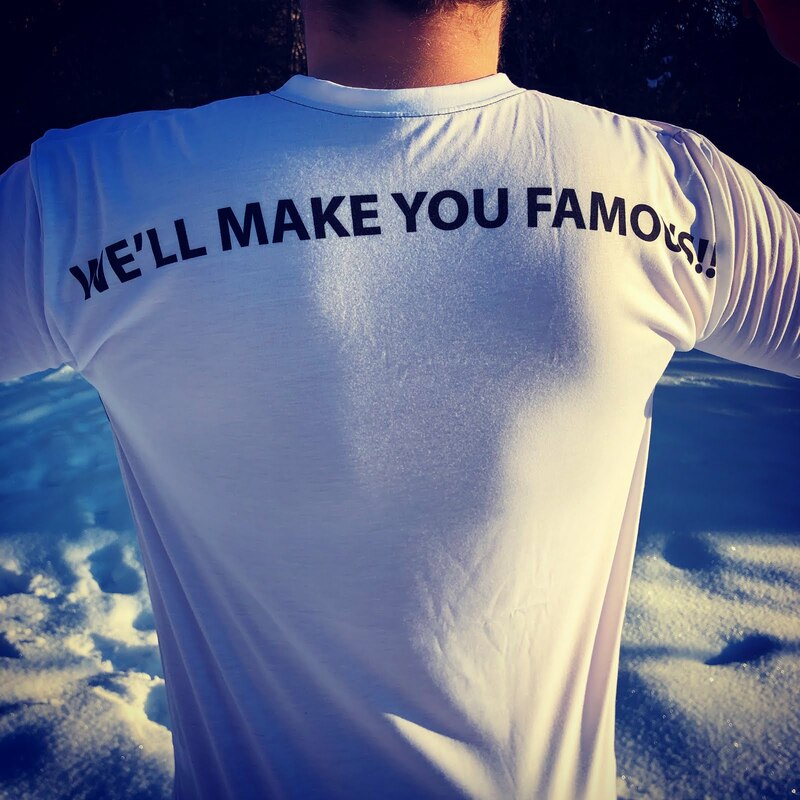 Customers like wearing it and the story of the company is inspirational. Swazi inspires as a typical local producer that is doing well weathering the storm of globalisation and cheap overseas manufacturing by focussing on his niche of outdoor apparel. They create a tonne of value for a community and customers. The company is leading the market in online retailing by exclusively selling directly to customers. Lastly, but most importantly, the Swazi products are outstanding! You can get them here: www.swazi.co.nz. Keep an eye out and let us know when you spot us in our Swazi gear. The first person that posts a photo of us on Facebook, in our branded Swazi Jackets will get a Swazi gift from the Two Cowboys. That is a promise!